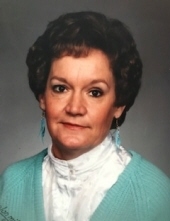 Jeannetta Martin, 74, wife to Allen Martin, passed away Wednesday, January 30, 2019 in Georgetown, Kentucky. She was born on September 9, 1944 in Crossville, Tennessee to the late Charles Fred and Juanita Randolph Hensley. Jeannetta was a former musician, she loved singing, was a friend to all, and loved people. Along with her husband, she is survived by her children, Charlie (Sandy) Hanshaw of Ashland, Kentucky, Tommy (Mindy) Hanshaw of Ashland, Kentucky, Michelle (Ruben) Rodriguez of Shelbyville, Kentucky, and Kedra Fitzpatrick (Chris Belt) of Shelbyville, Kentucky, 10 grandchildren, and 9 great grandchildren. Jeannetta is also survived by brother, Tommy Hensley, and sisters, Betty Underwood and Pat Yearwood, all of Dayton, Tennessee. To send flowers or a remembrance gift to the family of Deloris Jeannetta Martin, please visit our Tribute Store. "Email Address" would like to share the life celebration of Deloris Jeannetta Martin. Click on the "link" to go to share a favorite memory or leave a condolence message for the family.